Sierra Sentinel News- Serving The Sierra Nevada Communities: Corrupt Calaveras Supervisors selective code enforcement? Corrupt Calaveras Supervisors selective code enforcement? up with ways to support itself and to write new codes against cannabis. Admittedly, the purpose is to make money to replace what they have lost in cannabis permit fees ($5000 each), and they have written some doozies! Code enforcement tried to deny that members of the Board of Supervisors have encouraged their selective and overwhelmingly harsh and expensive enforcement of cannabis growers, but it was obvious on film that they NEED the money in order to keep their jobs. When the public brought up that they NEVER enforce codes against people like Bill McmAnus (the Banster), who they say has a JUNK Yard on his land near Forest Meadows, McmAnus started jumping around and got up and bitched and moaned that he is NOT on the agenda. There was laughter in the boardroom during this talk about McmAnus, who is a big supporter of Oliveiras, along with Mike Preston, McmAnus's close friend an confidante. When Supervisor under RECALL Mills asked about code enforcement for smells, several members of the public rose to ask about smoking smells, bad breath, and animals that smell. The Board seemed to back off that one. The morning meeting went late into the evening, as Chair Tofanelli had many POINTS of ORDER, had his ability to run a meeting challenged, and one audience member was told that they were not allowed to bring a sign into the Board Room because it was political in nature. This person read the so-called rules about signs into the record and it says NOTHING about not allowing political signs. Tofanelli was clearly shaking and uncertain, and tried to ignore challenges, loud at times, about his inability to run a meeting effectively. We have to agree! This Board is unfair in its accusations of certain people, but refuse to challenge, investigate or arrest political supporters of theirs. 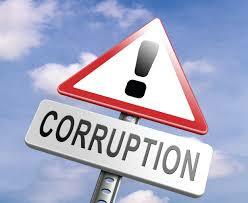 The corruption in Calaveras is worse than even, unfortunately. The Board needs to be cleaned out, beginning with Tofanelli, who is also under recall. Nazi's make the best gardeners? How much worse can Calaveras Supervisors get? The Sierra Sentinel will never stop!! !